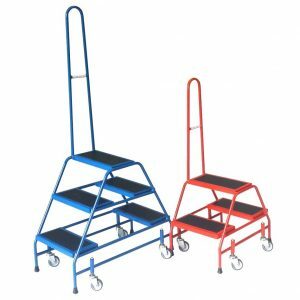 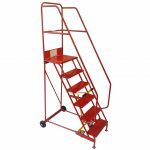 Warehouse step over mini steps are a lightweight step for use in the office/storeroom. 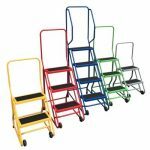 Fitted with spring loaded self weight retractable castors, step onto the step and all four rubber feet impact with the floor to immobilise the step and give maximum stability. 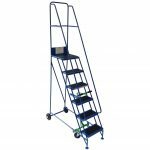 With anti-slip PVC or rubber treads for maximum grip. Both the two and three tread options have a 400mm wide platform (the total width of the unit is 490mm). 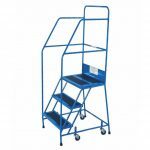 Discount will be applied to the step over mini steps list price at the checkout, dependent on the total order value.